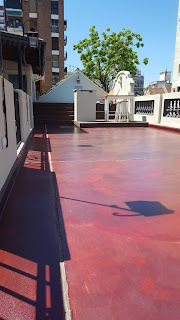 We use the roof of the house as a terrace that with the architects was divided in several parts. On the side where we have most of the time sun, we put a swimming pool, together with a deck. 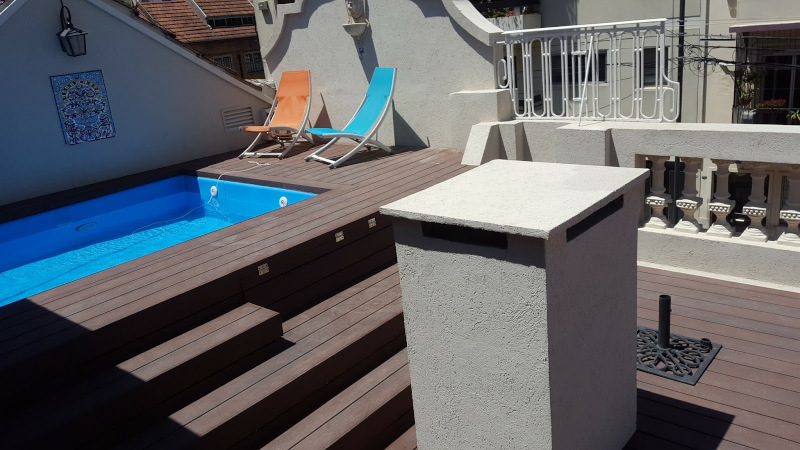 The deck has a stairs to reach the swimming pool, and an additional sitting space and sun deck behind the house's chimney. 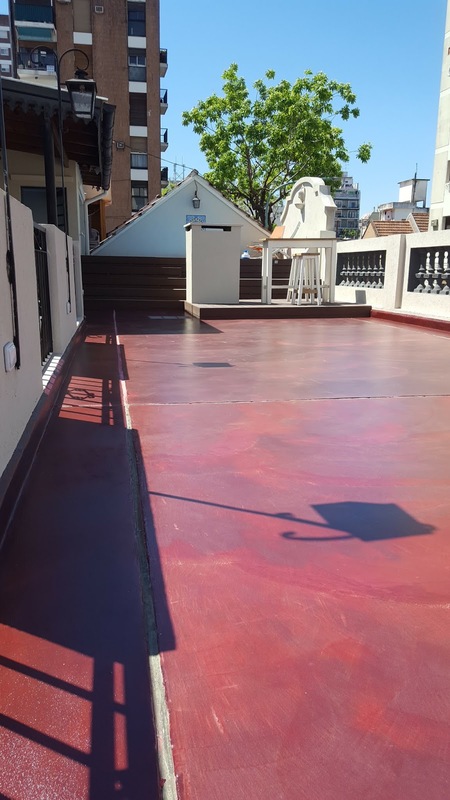 You can find more details about the swimming pool and the deck by clicking on the right or below on the respective posts. 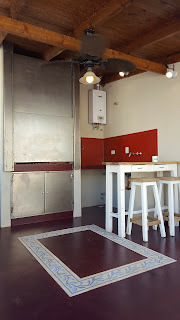 Then next to the guestroom under the roof, we built a 1.5 meter wide parrilla (Argentinean barbecue) and put a kitchen with sink to grill the food. 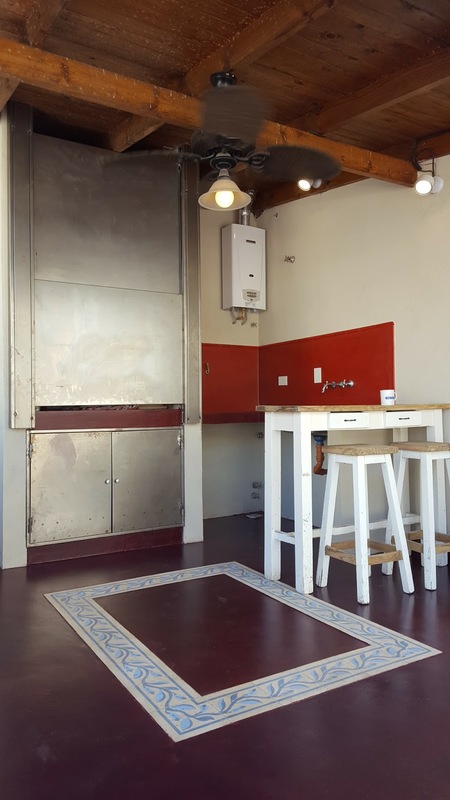 We also had a special bar table built with wheels that sits in the kitchen area, but can also be moved to the dining space. The dining space is large and open air where we can put a number of long tables to enjoy with family and friends. For the floor we used a terracotta colored micro cement to give it a rustic look. 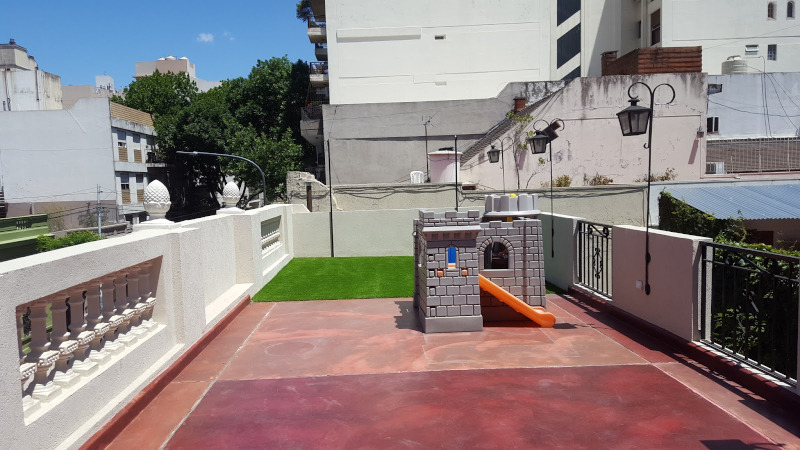 On the other side of the terrace, we put grass for a play area, with a little play castle from Little Tikes on top. And there we also have two columns to hang the 3.5 meter wide screen to have the open air cinema. 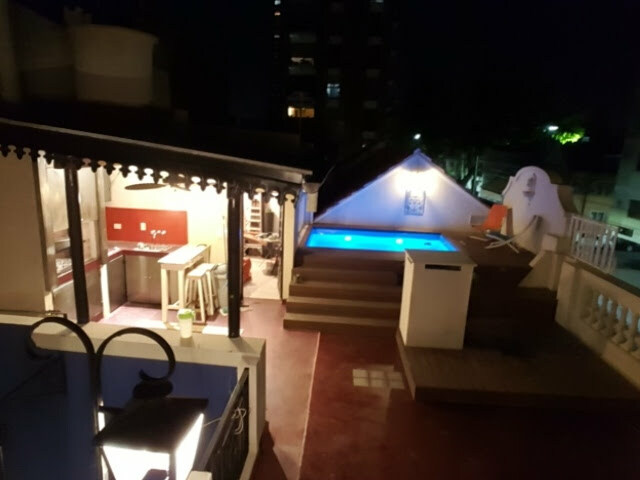 The terrace has a fence that provides a glimpse tothe patio below and have 4 lampposts that lightens up the terrace and can be seen from the patio. 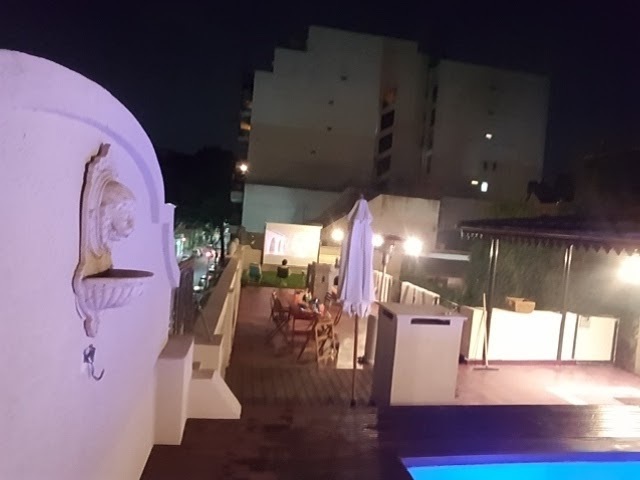 The parrilla area also has 3 LED spots installed, while the swimming pool has another lamppost and 4 large LED lights within the pool. 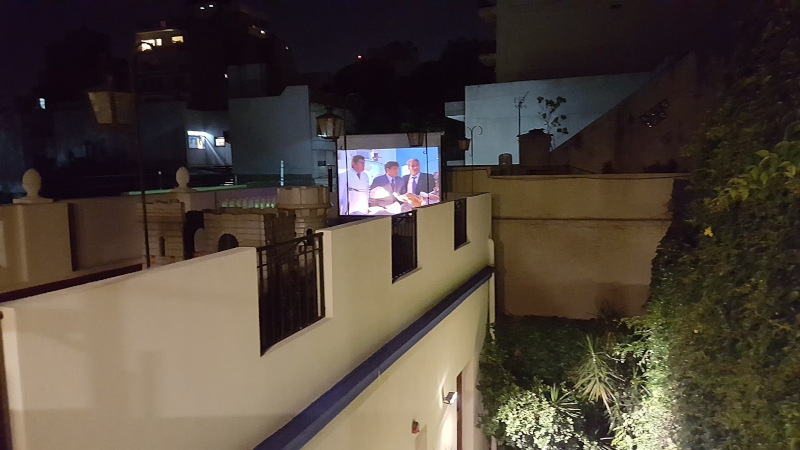 We now enjoy the terrace every moment we can, being in the open air living in the city center, but feeling like being outside in the campo.